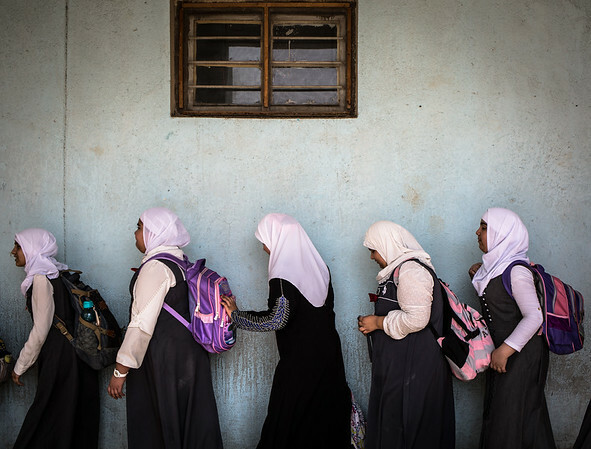 Faihaa school, as more than 800 in Basra, has deteriorated toilets and water infrastructure. Only four latrines still barely work for more than 670 students. The broken WASH infrastructure combined with the general water scarcity and pollution in the city results in sporadic water flowing from the taps. It is common to see boys and girls waiting their turn in line to go to the toilets, sometimes for half an hour. Others prefer to wait until they go home , impacting their ability to concentrate and making them feel fatigued.